Everybody's favorite music-identifying app, Shazam, is branching out beyond music with a new QR-style scanning feature. Now, you can use Shazam on Android and iOS to scan movie posters, magazine spreads, postcards, print ads, QR codes, and posters. Unlike its music feature, however, you don't use Shazam to find out what you're looking at. Instead, scanning partner content with Shazam will lead you to augmented reality experiences, exclusive video, and other content. 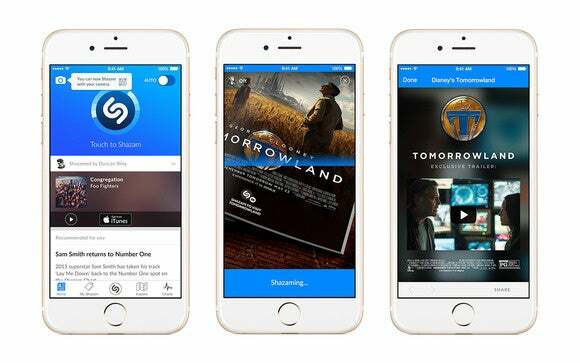 In other words, the new Shazam feature is all about marketing without the music side's song-discovering utility. 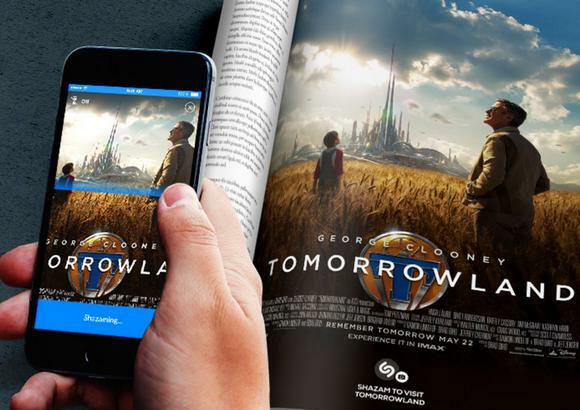 Shazam's new feature won't work with just any old print ad or article. Only items with the Shazam logo on it will lead you to websites or reveal secret messages like "be sure to drink your Ovaltine." To start, Shazam has several partners for the new visual scan feature including Disney, Esquire, Self, Sports Illustrated, and WSJ Magazine. A complete list is on Shazam's website. The story behind the story: The new visual scanning feature isn't the first time Shazam has focused on using its app as a marketing tool. In late 2014, Shazam started moving into identifying audio sources other than music, such as TV shows and radio commercials. Then in January, Shazam CEO Rich Riley tipped that the company would move into visual scanning later in 2015, and now here we are. Shazam has the potential to become a force for marketing tie-ins since the experience is fun to use and people enjoy the "magical" ability of the app to identify audio—and now images. Using Shazam on an image is similar to how it works with audio. Instead of tapping the Shazam logo when you call up the app, you tap the camera image in the upper left hand corner. Once Shazam opens in camera mode, you are supposed to hold your phone in front of the entire "interactive image" and allow your camera to focus. Then Shazam begins a scanning animation, which makes it look like the app is trying to identify the whole image. In my tests, however, it was faster to just scan the Shazam logo, which appears to be where the QR-like magic is happening. Once you've "Shazamed" (or is it Shazammed?) the image you'll be sent to whatever website the image is linked to. That's pretty much all there is to the new feature. Similar to your audio Shazams, visual scans will be saved under the My Shazam heading in the app. To use the new feature you'll need to update your device to the latest version of Shazam in the App Store or Google Play.